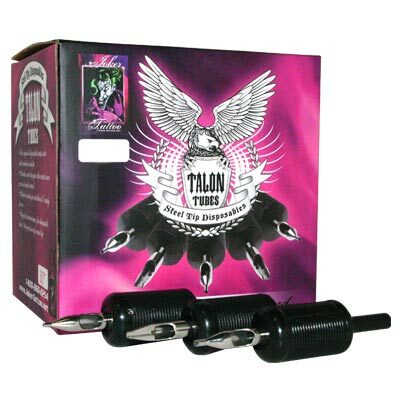 These Talon disposable tattoo tubes include the tube, the grip in 1 inch diameter and a stainless steel tip in many popular sizes. These tubes are the new standard for many professional tattoo artists. 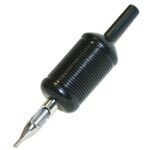 The convenience of a disposable with the durability of a stainless tip. Give Talon disposable tubes a try, we're sure you'll love them.